Francesca Torracchi is a photographer from Italy (Pistoia – Tuscany). She started taking photos in 2005. She primarily likes shooting street pictures, artists and circus photos. With photography Francesca tries to catch moment of complicity or emotion. She prefer light-hearted photos and she likes photographing artists and circus artists in particular. 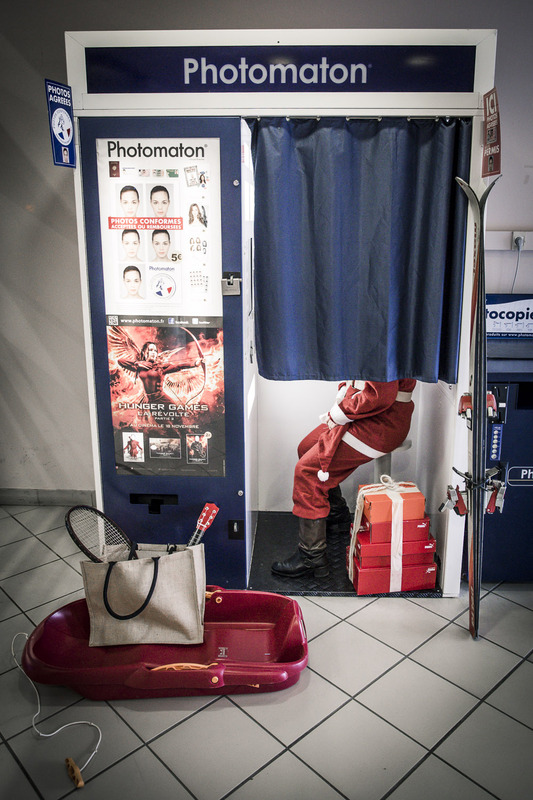 When I see somebody inside the photobooth, I start to imagine who that person is or who he would like to be. When you don't see the face your fantasy can fly... This series is the result of my game where I try to tell the identity of my friends or I just invent it. I like to mix reality and fantasy, I like to imagine that the pilot and Santa Claus took a picture in the same photobooth.